On this day, all Catholics are asked to pray for holy priests, and we at St. Joseph’s pray especially for our pastor, Fr. 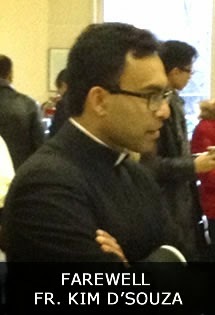 Marc-André, as he celebrated the 15th anniversary of his priestly ordination. 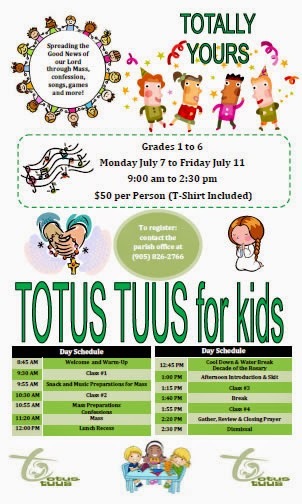 Join us with friends and family for a fun-filled summer retreat! 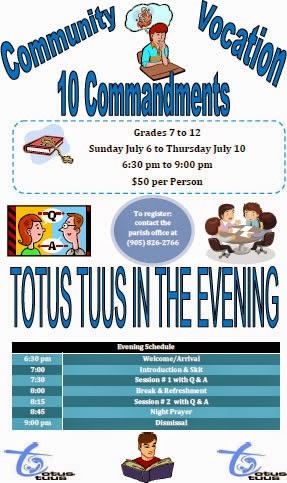 Great speakers, Movie Nights, Veneration of the Relics of the Saints. Light Refreshments will be provided. Our annual Church Picnic this year will be on Sunday September 21st 12:30pm SAVE THE DATE! The Solemnity of the Most Holy Body and Blood of Christ is also known as the Solemnity of Corpus Christi, which translates from Latin to "Body of Christ." This feast originated in France in the mid thirteenth century, in response to the visions of St. Juliana of Liege, a Norbertine canoness in what is now Belgium, and was extended to the whole Church by Pope Urban IV in 1264. This feast is celebrated on the Thursday following the octave of Pentecost, but is now commonly transferred to the next Sunday. Every time we celebrate the Holy Sacrifice of the Mass our attention is called to the Real Presence of Christ in the Holy Eucharist, but the Feast of Corpus Christi is commonly used as an opportunity for public Eucharistic processions, which serves as a sign of common faith and adoration. Our worship of Jesus in His Body and Blood calls us to offer to God our Father a pledge of undivided love and an offering of ourselves in service to others. Friday June 27th at 7:30 pm. St. John Paul II established that on the solemnity of the Sacred Heart the Church throughout the world should observe the World Day of Prayer for the Sanctification of Priests. On this day, all Catholics are asked to pray for holy priests, and we at St. Joseph’s pray especially for our pastor, Fr. Marc-André, as he celebrates the 15th anniversary of his priestly ordination. Sunday June 29th following the 12:30 pm Mass. 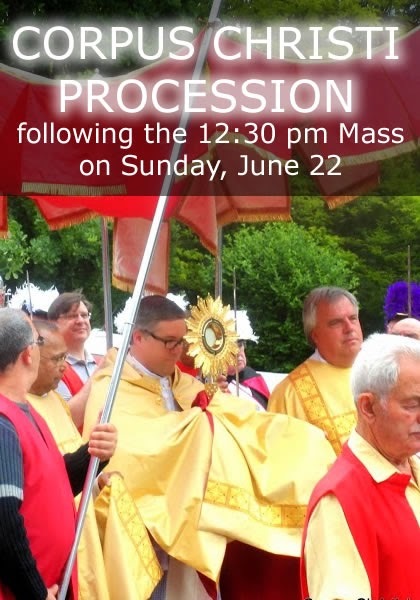 This Eucharistic procession will take place following the 12:30 pm Mass on Sunday, June 22, from the church to St. Joseph elementary school (on Church St. in Streetsville) where the Blessed Sacrament will be exposed for adoration. 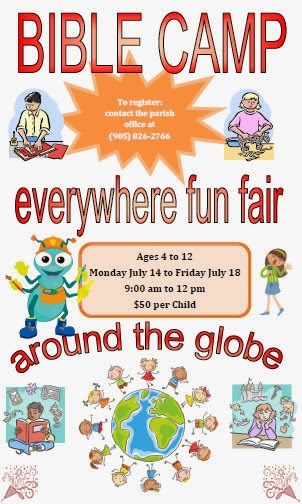 Refreshments and seating will be available in the school gym. There will be shuttles available for anyone needing a ride back to the church.